Former Secretary of State Condoleezza Rice’s new memoir is a fascinating look into her childhood and reveals a much misunderstood woman, says bestselling author Stephen Carter. Left: A young Condoleezza Rice outside the White House during a family trip to D.C. Right: Secretary of State Condoleeza Rice waves on arrival in Beijing, 20 October 2006. Her father pastored a black Presbyterian church in Birmingham, Alabama, which was, Rice reminds us twice, the most segregated city in America in the 1950s and early 1960s, the period in which she came of age. Today, of course, every schoolchild has heard of Martin Luther King Jr.’s Letter from Birmingham City Jail. But back in Rice’s childhood, when the middle-class black neighborhood of Titusville was under constant assault by the terrorist bombers of the Ku Klux Klan, her father refused to join King’s nonviolent activism. He believed in meeting violence with violence. He used to sit on the front porch with a gun, and helped organize bands of armed black men to patrol the streets of Titusville. These and other tales of Rice’s youth make the memoir surprisingly engrossing, once the reader gives up any hope of learning the inside story of national-security policy in either of the two Bush administrations she served. For the book, although told in the first person, is not really about Condoleezza Rice. It is about her parents, John and Angelena—about the forces that shaped the generation of black middle-class families who did not become politicians and civil-rights leaders. The self-reliance Rice learned at the feet of her parents helped to form the poised, powerful, and complicated woman who rose to prominence under two Republican presidents, and, in between, served as the youngest provost in the history of Stanford University. And although so fiercely partisan an observer as Donna Brazile, who ran Al Gore’s presidential campaign in 2000, told a reporter that she had “chills” up and down her spine when Rice was sworn in as the first black woman to serve as secretary of State, the fact remains that a thread of controversy seems to have followed Condoleezza Rice throughout her career. The pattern began when she was young. Like other middle-class black parents of their day, the Rices were determined to build for their only child a world of limitless possibility. They refused to allow the oppression under which they lived to impinge on their daughter’s life. When it did—as, for example, when the Santa Claus at a downtown department store refused to let Condoleezza sit on his lap, or when a clerk in a dress shop declined to let the child use the fitting rooms—her parents fought back, often forcing the whites of the community to change their ways. Their fight, however, was not through organizing and marching. (They did join the boycott of Birmingham stores at Christmas.) They relied instead on force of presence—and surprise. Rice’s schoolteacher mother came from a family that had insisted that all the children speak English precisely, as a means of earning the respect of skeptical whites. Many of the tales Rice tells of her childhood involve proving herself to be smarter and more capable than teachers or counselors or other adults imagined. We see an echo of these formative experiences when Rice the graduate student allows her temper to flare at an unhelpful gasoline station attendant in South Bend, Indiana—and then, still later, when Boris Yeltsin, at that time a reformer not yet running the Soviet Union, shows up for his first White House meeting, and expresses his annoyance at being greeted by Rice (at that time a deputy to National Security Adviser Brent Scowcroft) at the basement entrance. She gives Yeltsin a tongue-lashing—in fluent Russian. Civil-rights leaders, black politicians, black journalists, and talk-show hosts have all had their innings, calling Rice an Uncle Tom (gender notwithstanding), a traitor, and an Aunt Jemima. White liberals, given cover by this cruel silliness, have too often hopped on the bandwagon. 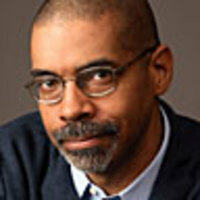 Some reviews of Marcus Mabry’s biography of Rice, published three years ago, took the opportunity to psychoanalyze her, in the way liberals like to do with black people, trying to figure out what in her background caused her to think as she does—free will and reason and choice, evidently, being limited to whites. All of this rancor, from what I can tell, arises from Condoleezza Rice’s attachment to Republican politics, and, in particular, her service in George W. Bush’s administration. But the tenor of the criticism is peculiar. Here is Rice, one of the nation’s leading experts on the Soviet Union, a tenured professor at Stanford, called upon by the president-elect: What, precisely, is she supposed to say? “I won’t help with foreign policy because we disagree on tax cuts”? Indeed, what emerges from the memoir is a passionate commitment to racial justice, forged in her Titusville youth, where her parents taught that the path to justice is education. Rice battled Bush advisers over affirmative action. She helped found, and has tirelessly raised money for, the Center for a New Generation, which has prepared scores of disadvantaged children in the Stanford area for college and careers. Critics who say she has turned her back on the race quite literally have no idea what they are talking about. True, Rice is a Republican. She tells us that she voted for Jimmy Carter in 1976—her first presidential election—but abandoned him for Ronald Reagan in 1980 because of her disappointment in what she considered Carter’s weak response to the Soviet invasion of Afghanistan. From the clues she drops in the memoir, she remains, on domestic issues, far closer to the liberal than the conservative side of the ledger. (To take the two most obvious examples, she is pro-choice, and supports affirmative action in college admission and hiring.) In another era, she would have likely been a “Scoop Jackson Democrat,” but the party’s shrinking tent seems to have no room for such complex creatures anymore. To be sure, the Republican Party’s tent is also shrinking. Politics gets uglier and uglier as the parties themselves grow narrower and narrower. But the notion, propounded by self-appointed guardians of the race, that no sane black person could ever vote Republican stands on a level of cleverness with the drunken football fans who pummel supporters of the visiting team who find their way to the stadium. Among the intellectually serious, it as about as worthy of respect. I use a football metaphor because football runs through the book. Rice’s father loved the sport, and so does she. Nearly every boyfriend or crush she lists—and she lists a lot of them—was an athlete. Rice dated for a while, and may have been engaged to (the book is unclear on this point) Rick Upchurch, once a star wide receiver for the Denver Broncos. She has been quoted as saying that her dream job would be commissioner of the National Football League. But her jobs, in and out of academia, have revolved instead around foreign policy, where ambition, talent, and a love for the subject have combined to carry her far. Rice’s career has had its great successes, including her involvement in the winding down of the Cold War. But her work is not above criticism. In one of the book’s few “inside” stories, she freely admits that during the administration of the first President Bush, when she basically ran Soviet and Eastern European affairs for the National Security Council, she and her staff were scooped by CNN on the fall of the Berlin Wall. (True, so were the State Department and the Central Intelligence Agency.) And, of course, Rice was national security adviser at the time when the colossal intelligence failure over Saddam Hussein’s programs to develop weapons of mass destruction helped launch the Iraq War. But readers hoping for an inside account of those harried days will be disappointed: The memoir, as I said, is dedicated not to Rice’s own life, but to her parents, and ends when her father dies, in December 2000, just before the second Bush took office. The more one reads of Rice, the more one wants to get inside her head. The portrait of her father is, overall, more fully drawn than that of her mother. Her schoolteacher mother seems to have been a proper and reserved woman, swift to judgment, awesome in her wrath, and unfailing in pushing her gifted daughter toward more achievement, whether in figure skating, piano, or the classroom. The father we meet is gregarious and affectionate, passionately involved in the community, constantly working, whether in Birmingham, Denver, or Palo Alto, for the betterment of the race. One senses a romantic softness at the core of the steely woman Americans met during her years of public service. Rice’s reverence for her parents is touching, as is her abiding love for the Titusville of her youth, where segregation was held to be no barrier to achievement, no matter what white people might think. (The story of Birmingham in those days is elegantly told in Glenn Eskew’s prize-winning history, But for Birmingham, a source Rice says she consulted.) Her love for John and Angelena, and her pain at their passing, is obvious. Yet here we meet a wall that is perhaps the book’s greatest flaw: One has the sense that as much is withheld as disclosed. The prose has a punchy, journalistic tone: One simple and clear declarative sentence following another. When Rice is laying out a narrative of the events of her fascinating life, this style is a strength, and the book itself eminently readable. But when she turns to moments of great emotion, the prose becomes a weakness. Rice tells us how she ached when her mother’s breast cancer metastasized to her brain, or when a guidance counselor suggested vocational school, or when girls she knew were blown to bits in the Sixteenth Street Baptist Church in Birmingham. She tells us, but does not show us—Rice informs the reader of her feelings but withholds her inner self, so that we acknowledge her suffering but never quite share it. Perhaps this reserve is to be expected, given the complexities of her upbringing and of the career and political paths she has chosen. But it comes as a disappointment all the same. The more one reads of Rice, the more one wants to get inside her head. She was raised, however, to keep much to herself; and she does. There is something quaintly appealing about the way Rice insists on the privacy of her innermost motives and emotions. But contemporary America believes in its right to know everything. What you decide not to tell, reporters nowadays believe you are covering up. A pity, that; because whatever critiques one might offer of Rice the policymaker, Rice the American has an engaging and important story to tell. One would like to have more of it. Stephen L. Carter is the William Nelson Cromwell Professor of Law at Yale, where he has taught since 1982. His seven nonfiction books include God’s Name in Vain: The Wrongs. His first novel, The Emperor of Ocean Park (2002), spent 11 weeks on the New York Times bestseller list. His fourth novel, Jericho's Fall, was published in July; his next book, The Violence of Peace: America’s Wars in the Age of Obama , will be published in January by Perseus.